During the last 3 quarters of 2013 the dust slowing settled over the dramatic events that led to the Cyprus economic crisis in March 2013. Subsequently, we consider it a poignant moment to remind all PT's that the clock is now ticking to get your money and assets out of the Euro-zone. In essence, 2 formally arrogant Cypriot banks (BoC and Laiki Bank) in synergy with the Cyprus Government committed what is best described as a bank robbery in broad daylight. Moreover, it was something heavily pushed by the EU under the auspices of the Troika and the IMF. Due to the weak response of the Cypriot Public at large (excluding some serious legal cases) to this theft, in general the Cyprus Government and the EU authorities are now sensing that they got away with it! Many Cypriots and foreigners alike trusted the banks and the Cyprus Government with their hard earned money. Cyprus is supposed to be an EU country, yet no protection of private property or basic human rights was awarded to the people who held deposits of over 150,000 euro in the 2 afore-mentioned banks. In many cases the funds stolen (everything over 150,000 euro) amounted to peoples entire life savings, personal pensions, money saved for healthcare and even money pending a transfer for a property purchase (yet confiscated meantime). What are the lessons learned here? Don't trust the banks of Cyprus (this has wiped out the Finance Industry on the Island). Don't trust the Government to protect the people. Get your money out of the Euro. Preciously few of the powers that be on the island of Cyprus or across the continent did anything significant to make a stand and protect the rights of people. Cypriot politicians simply made agreements with the Troika and IMF regardless, yet in some cases, a few families in the know (linked to high ranking Government officials) transferred millions before the banks were closed. The President who signed for the original shameful haircut blamed the Finance Minister and somehow the public has let him hold power. Only Nigel Farage (captioned in the Video below) had the courage and﻿ common sense to speak out for the people of Cyprus on the right platform. Unfortunately, the Cyprus case has set an ominous precedent for the future in the EU and it will still likely generate ripple effects far beyond the small Island nation. The EU were eager to gauge the reaction and level of protest to see if they could get away with it. Cyprus was most likely selected as a "Crash Test Nation" due to population size (least potential for a strong reaction) and as a result of foreign (e.g. Russian) money being held on the Island. The IMF and the Troika could have very easily bailed out Cyprus without any issue, but they coldly calculated not to do that. Instead, the goal was to test the notion of a "Wealth Tax". Now that the precedent has been set with money securely taken from bank accounts in Cyprus, plans are afoot to start doing it everywhere. The EU are reasonably pleased with the success of this modern day "Bank Robbery", hence it's only be a matter of time before depositors in other EU nations such as Greece, Italy, Spain and Portugal will be expected to loser their fortunes. the smart money is on Italy first. Cyprus is a very small nation, so the overall volume of money involved is not too significant. However, the reason why this whole affair is all so concerning is that the "Wealth Tax" template has been set. There is a calm before the storm, as the EU seemingly planned to make things appear stable for s sustained period before the European Parliament Elections in May 2014 in the hope of a good result to advance the European Federal States Agenda. 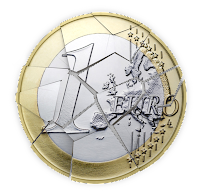 Thereafter the clock may well be ticking towards disaster as the EU may well play the EU Wealth Tax card in Italy or another unsuspecting EU country in financial difficulty. So as Nigel Farage (below) eloquently articulates, what will happen to the EU, we remind all PT's across the EU to take action now before it's too late. 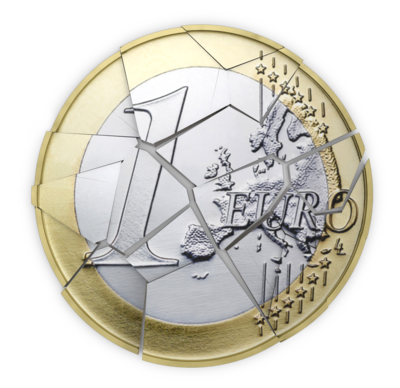 Get out of the Euro now!